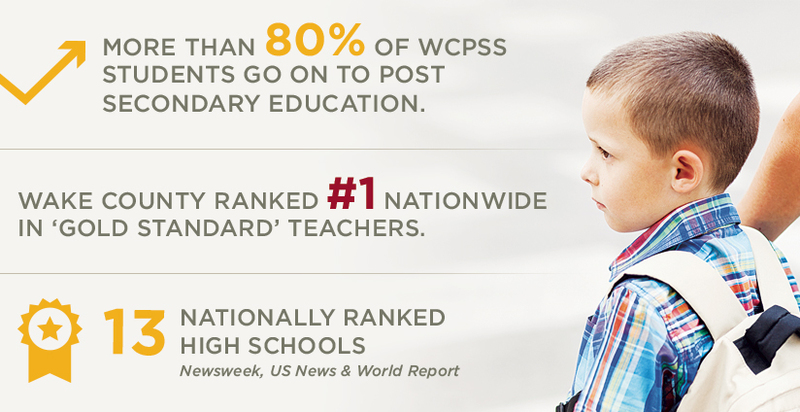 Education is a priority in Wake County. As a result, our K-12 schools, colleges and universities are rated as some of the best in the nation. Approximately 50% of the population over the age of 25 holds a bachelor's degree or higher, easily placing us as one of the most highly educated communities in the country.